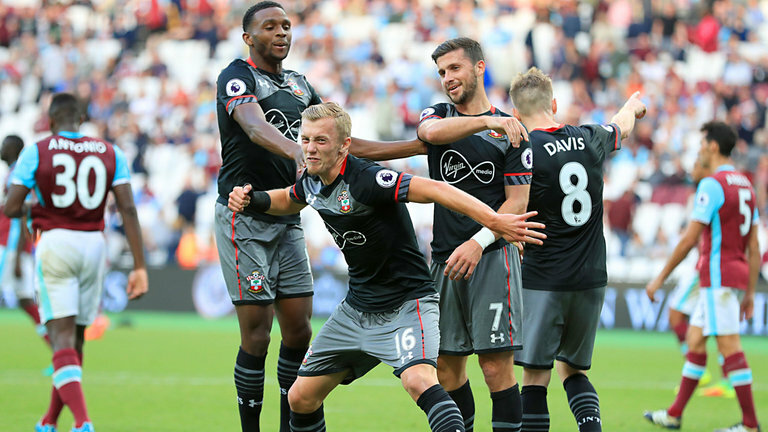 Southampton further compounded the misery around the London Stadium as the Saints put three past a lethargic West Ham United side. In a balanced and competitive opening, West Ham's main attacking component were the diagonal runs of Michail Antonio and Simone Zaza, but, to their sheer frustration, were stifled by the intelligent, skillful Virgil van Dijk who shut down the majority of chances created up his end. The Saints implemented a defensive strategy, though, highlighted by the lack of commitment up front, and, frustratingly for Charlie Austin, the nonexistent support to try and mount any real offensive. You felt a tad sorry for the paying fans in attendance because the standard of football both sides cooked up was absolute drivel, and it speaks volumes when the highlight of the opening 30 minutes was Zaza's woeful attempt at claiming he was fouled inside the box. Five minutes prior to the interval, The Olympic Stadium plunged into sheer silence as Southampton nicked the lead. In a delightful sequence of play which saw Ryan Bertrand exchange and then overlap on Tadic, escape the clutches of Antonio and then cut back to Charlie Austin who, with a real sense of composure, swept a low, accurate strike into the far side of the goal. Desperate to improve, Slaven Bilic introduced the attack-minded Sofiane Feghouli in replacement of #10 Manuel Lanzini, in an expected substitution but maybe not the expected players to be exchanged. There was little to shout about, but Lanzini would've been the vital figure in West Ham's bid to equalise. Tadic remained a real menacing figure on the field , this time superbly backheeling a route for Cedric to ruin down, and to advance his marker but as he scampered into the area his shot was kept out by in-form Adrian who had already saved West Ham from being four or five down. 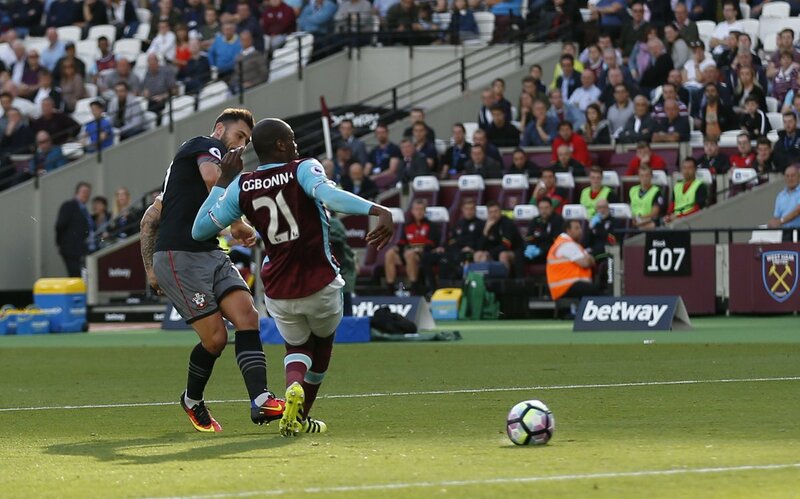 Just after West Ham showed glimpses of promise, Dusan Tadic shut them down as Southampton went 2-0 ahead on the 63rd minute mark. In another fantastic sequence where West Ham's defensive frailties were again exposed once again, Tadic doubled his team's lead. He capitalised on slow, distinctiveness defending and latched onto Austin's through pass to chip over the advancing Adrian. Then Tadic fancied more, so he brilliantly assisted Davis who burst into the area, dribbled within several defenders but was denied at the penultimate moment as Adrian smothered his shot and kept him out. West Ham did bounce back, though, at least with Dmitri Payet's sublime skill but frustrating end product. The Frenchman used his agility to carve a superb position around the defence, however his final shot was blocked before the second opportunity saw him lash the ball wide from the edge of the area. The referee was perhaps a more frustrating figure than any Southampton player for the hosts; turning down an array of penalty appeals including Zaza's claim of a foul and Payet's claim of a handball late in the match. As the minutes died down and West Ham's chances diminished, the visitors refused to sit back. Adrian, the saving grace in his tremendous save against Pierre-Emile Hojbjerg, was left helpless as the rampant Redmond scorch down the left flank, fed Davis who then scampered into the area and cut back to Ward-Prowse and allowed the youngster to slot home from close range. 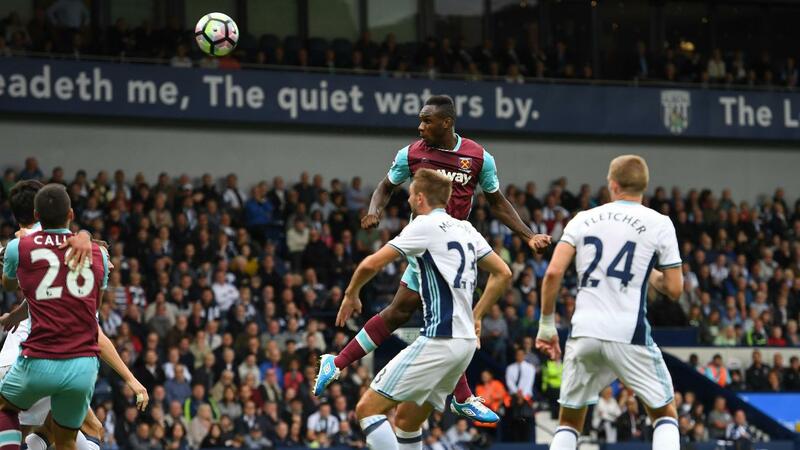 West Ham's defence was in tatters, as was their season with a fourth consecutive defeat.